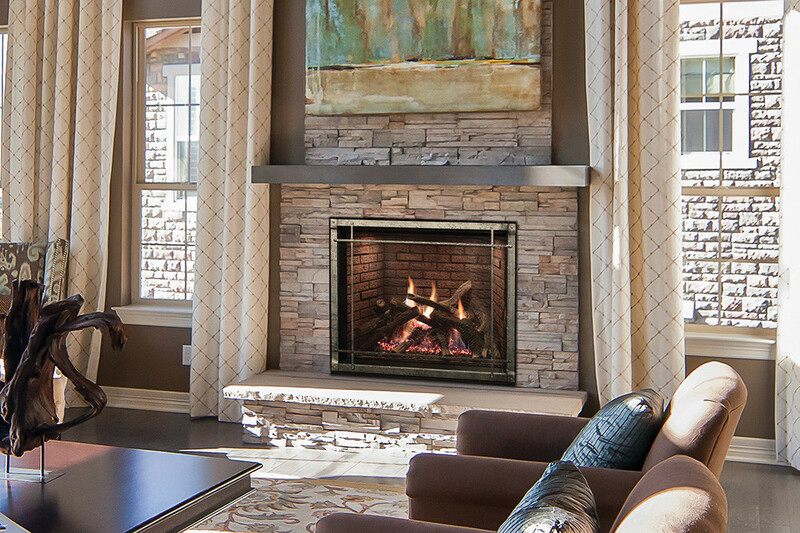 Generally speaking, there are two different choices when selecting a stone fireplace: natural stone and cultured stone. When it comes to natural stone, the choices are granite, marble, limestone, slate, and travertine. Cultured stone on the other hand can be made to look like almost any kind of stone you wish. They tend to be much more vibrant than natural stone and last longer too. They come in all different shapes, textures and colors. Cultured stone often comes with a 50-year guarantee against cracking and fading. Stone fireplaces are also known for heat retention. They actually keep you warmer by keeping in the heat they give off. Not only does that keep you toasty warm, but it helps keep your heating bills down because you’ll be less likely to reach for that thermostat. And stone fireplaces aren’t just to be enjoyed inside. Outdoor fireplaces are becoming more and more popular. Take the comfort of your warm, cozy living room out into the fresh air.